The official synopsis for Pacific Rim Uprising describes the on-going battle between the Jaegers and the kaiju as “an all-out assault on humanity.” And the new trailer? Well, it’s more of an all-out assault of metal on our eyeballs. 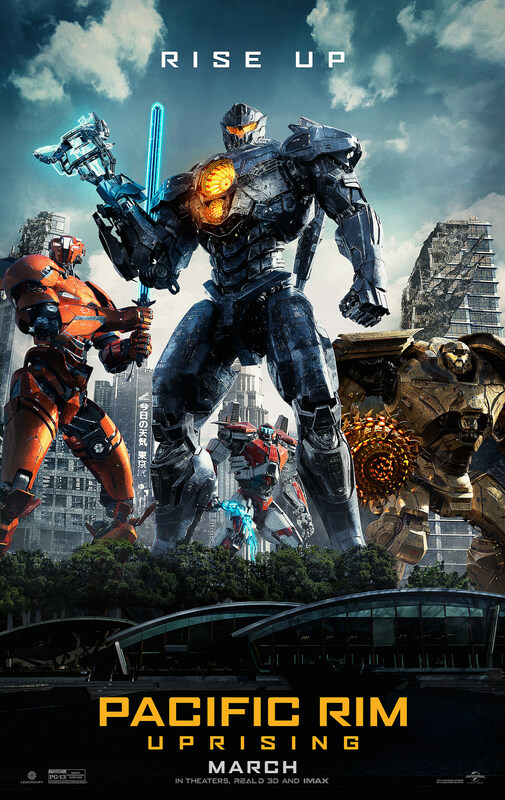 If robots clashing against one another amongst massive skyscrapers is your thing, then the Pacific Rim sequel is 100 percent for you. John Boyega, finally able to show off his British accent, leads the sequel as Jake Pentecost, the son of Idris Elba’s general from the 2013 movie. But as Jake clarifies in the new trailer, he’s no hero like his pops was. Instead, Jake’s messing around, getting locked up in jail, and, like any average kid, partying his life away next to kaiju skeletons. But finally he decides to become a Jaeger pilot and lead a group of young recruits to battle the big bad sea monsters, as well as another new threat. Pacific Rim Uprising, directed by Daredevil showrunner Steven S. DeKnight, hits theaters March 23. Check out the new poster below.